Short Business Description: At America Insurance Agency, we shop around for the best quote for you, so you don’t have to. Dealing with Home, Auto, Life and more, we take your information once, and shop it around with 10+ different insurance companies, saving you time and money. Then, we explain your policy to you. We’ll take as long as you like. It’s our job to make sure you understand the policy you are purchasing. Finally, we service the policy for you. That means you’ll never deal with long holds again. Our small business charm means you talk to the same person, straight away, every time. It also means we keep making sure you have the best rate as time goes on, and we’ll let you know when there’s a way for you to save money. Short Business Description: Apple Child Care Center is a high quality Keystone Star-3 level certified preschool that provides compassionate care in secure, clean structured and supervised classroom environments that help children build cogitative, social, emotional and language, gross motor and creative arts skills needed for success. Teachers engage children in exciting age-specific programs with values based learning for infants, toddlers, preschoolers and pre-K children. The Center sets high standards for workplace compliance that deepens the experiences for the children. 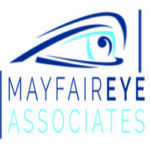 We accept both CCIS childcare subsidy and private pay enrollments for our diverse student population, which serves the Mayfair section of N.E. Philadelphia. The Center is open 52 weeks per year, M-F 6:30 am – 6:00 pm. Short Business Description: Designer Clothing Company / Retailer of Art and Fashion. Exclusive t-shirt designs, including the Eagles-inspired championship History and Nelson Aghlor Fly. Short Business Description: We are a large Beer distributor carrying all types of Beers and Craft Beers you can think of!!! We also offer Kegs, Cold Case beers, Sodas, Cigarettes, and much more!! years. We continually serve our customers with the best service our family has to offer. Allow our family to help yours with all of your insurance and auto tags needs. Short Business Description: Made-to-order donuts. Choose from 20 Signature Donuts that handcrafted and dipped in toppings of your choice. Made-to-order donuts. Choose from 20 Signature Donuts that handcrafted and dipped in toppings of your choice. 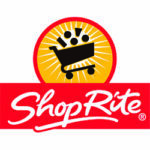 Short Business Description: We are a family owned pharmacy that has been open since 2013. We specialize in all of the same pharmacy services you'd expect from the "big guys" but with faster and more efficient service. We provide FREE DELIVERY to practically anywhere. If you or someone you know has difficulty taking or remembering to teke their medications, we can make their lives easier with our helpful medication blister packaging. Short Business Description: Fresh-made hoagies and sandwiches made with plenty of meat and delicious rolls. Short Business Description: For more than 50 years Gallagher Bros has been installing quality windows, doors, security doors, garage doors , siding, railings and awnings for homes and businesses. Short Business Description: Looking for a special gift from figurines to household treasures, Giggles Gifts has just what you are looking for. 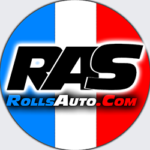 Short Business Description: Providing high quality auto repairs and service. As one of the areas to-rated auto-body shops, Goodchilds can also handle your insurance claims with your provider. For all your mechanical needs, repairs, state inspections and emissions in Philadelphia, Bucks and Montgomery Counties. Short Business Description: Looking for a special time piece or to sell one - or coins or jewelry? 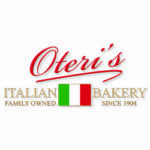 Family owned and operated since 1884! Short Business Description: Know for their tobacco & vape brands as well as accessories, hook-as, water-pipes, cigars and incense. Short Business Description: Where local sports teams and athletes get their custom jerseys, jackets and gear. 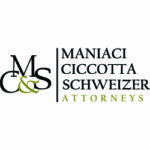 Short Business Description: Maniaci/CTM Accounting & Tax has been in business for 40 years, preparing Federal, State, and local tax returns for individuals and small businesses. We have a full time staff of CPA’s, tax accountants, and enrolled agents, available year round to handle all accounting and tax needs. 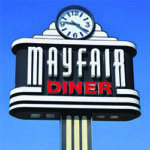 Short Business Description: This 1950's diner is open 25 hours a day, and has been serving the Philadelphia area since 1932. Short Business Description: Opened in 1993 by owner and primary veterinarian, Dr. Arlene Ronis, Noah's Ark is offers both conventional and holistic treatments. Short Business Description: Friendly staff and exceptional dry cleaning services. Short Business Description: Your local hardware store, where personal service, quality products and the brand you can trust. Penn Hardware True Value is ideal for all your home project needs. Short Business Description: We are a full service Insurance Broker. Providing Business, Personal and Life Insurances. 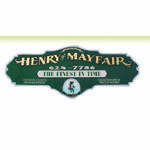 Located in Mayfair for 21 Years! 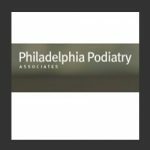 Short Business Description: Families from throughout Philadelphia, Pennsylvania know they can count on Dr. David Geltzer and Dr. Neil Rapoport at Philadelphia Podiatry Associates for gentle and effective medical care for their feet and ankles. The doctors and staff provide a wide range of services, including treatments for bunions, ingrown toenails, heel spurs, neuroma, hammer toes, peripheral neuropathy, diabetic feet, and wound care. Short Business Description: Absolutely Free Business and Personal Checking. 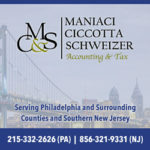 Short Business Description: Santucci's Square Pizza, founded in 1959 in Philadelphia by Joseph and Philomena Santucci, is a family owned and operated pizza restaurant best well known for their original square pizza. Short Business Description: Competitively priced auto, home, and property insurance from an agent you can trust. Short Business Description: Trust Joe Ems, your local State Farm agent with your home, auto and property insurance. Give them a call today to find out if he can lower your insurance costs while raising your coverage. Joe can also provide financial services to get you on track. Short Business Description: Since 1887, this NE Philadelphia staple has been designing beautiful floral arrangements for all occasions. Short Business Description: "Automotive Service Excellence since 1946". We are a Family run auto repair shop (3rd generation) and we back up our work with a 12 month/12,000 mile warranty. Short Business Description: One of Philadelphia's original beer bars offers a great rotating beer selection and award winning food. Short Business Description: Committed to offering you the finest floral arrangements and gifts with top-rated customer service. Short Business Description: Used cars for all price ranges and credit scores. Excellent customer service and fantastic looking cars at a fair price.